* Drive with confidence with our best-in-class 5 year/60,000-mile limited warranty. In the unfortunate event of a breakdown, our factory-certified service technicians will repair your Jaguar with Jaguar-approved parts. * Keeping your Jaguar in tip-top shape is the perfect way to protect your investment. Our factory-trained technicians at Jaguar Colorado Springs will complete regularly scheduled maintenance for the term of your Jaguar EliteCare warranty. * In the unlikely event that your Jaguar does break down, as a new Jaguar owner you will enjoy 24/7 complimentary roadside assistance. Whether on a family road trip or commuting locally, Jaguar EliteCare has you covered. Your vehicle will be towed to the nearest Jaguar service center, anywhere is the U.S. In addition to your beneficial Jaguar EliteCare Advantage program, your vehicle features the amazing Jaguar InControl® Remote and Protect™ apps to keep you connected to the health and well-being of your vehicle. With this full suite of benefits, provided to you by Jaguar, you can just start enjoying your vehicle and leave the worrying to us. Jaguar Colorado Springs has a large inventory of luxury new Jaguar vehicles. 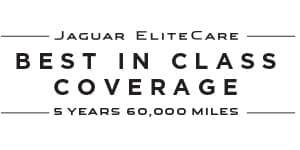 Contact our sales experts for more information on your favorite new Jaguar model and the “game-changing” Jaguar EliteCare Advantage today!